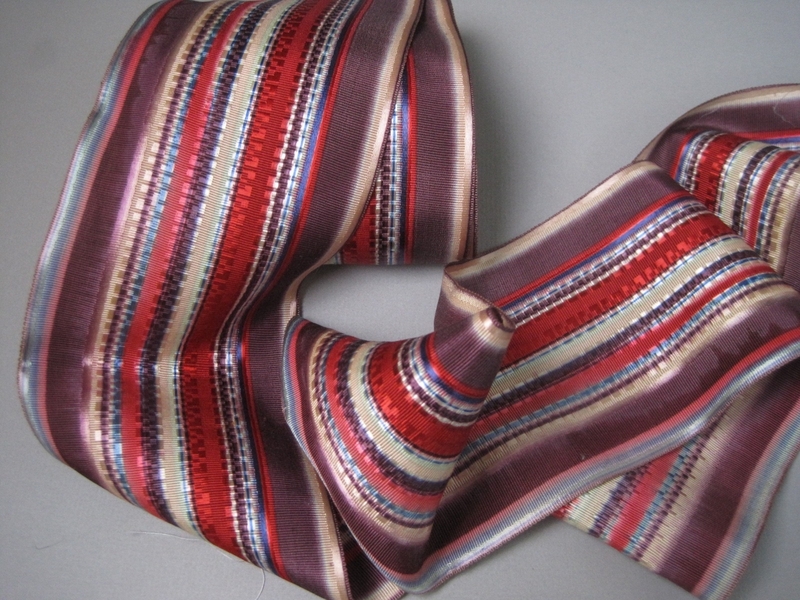 Interesting antique Victorian ribbon with a striped design with shades of red purple plum, blue and cream and white. 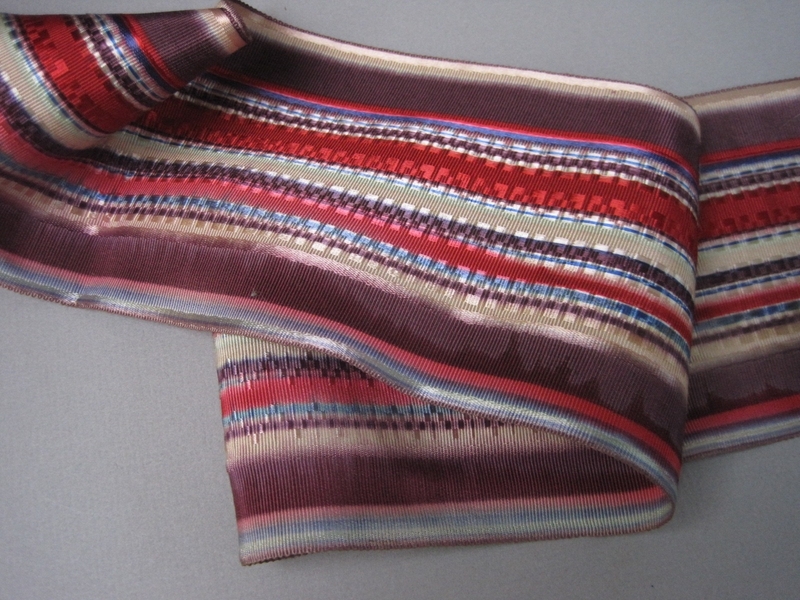 Looks to have a watered silk effect within the striping. 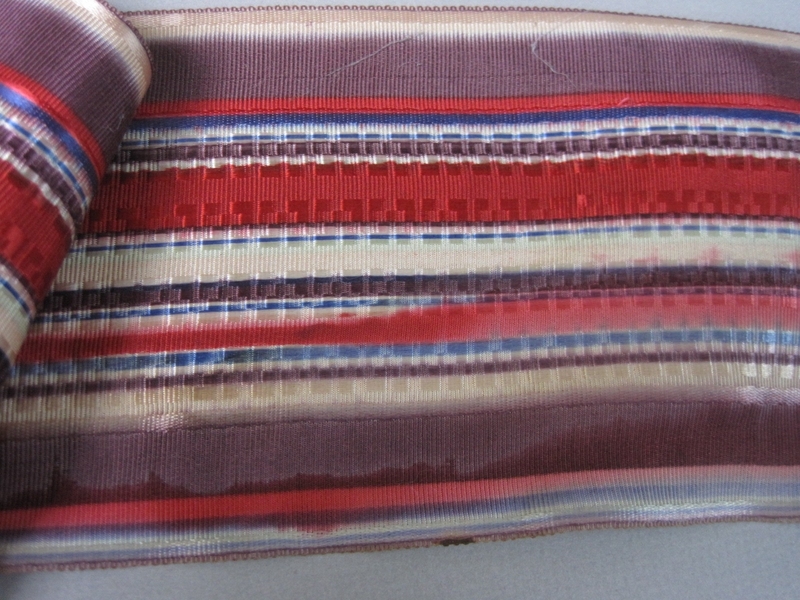 Fabrication tests as silk and cotton; feels like a grosgrain, looks like a faille.